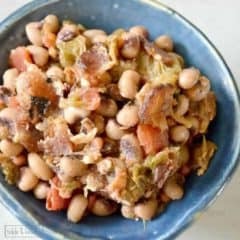 This is an easy, quick, and flavorful recipe for Hoppin’ John, a southern side dish with blackeyed peas, bacon, okra, and tomatoes. Hello all you Kenarry readers, Emily from Table & Hearth here to share an easy and delicious side dish recipe with you today! 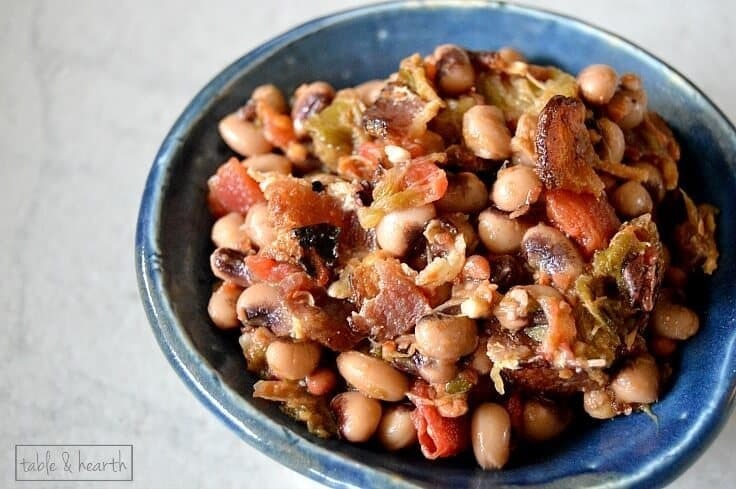 It’s a quick and simple way to make Hoppin’ John, a southern favorite and one of my go-to dishes. 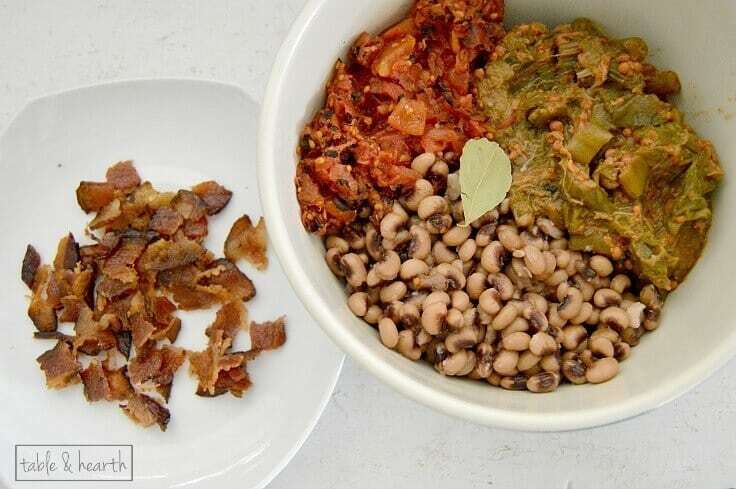 Hoppin’ John is traditionally eaten as a New Year’s dish for good luck, but we love to eat it year-round. It is normally served as a side dish to the main course. 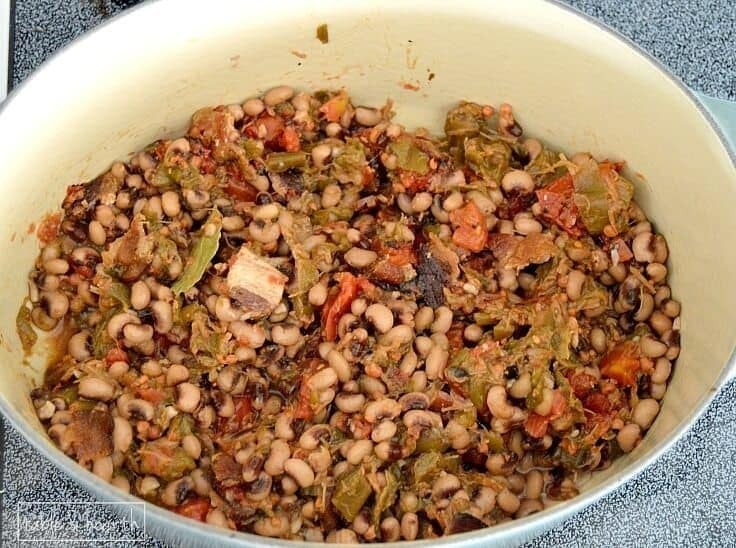 It is a blend of rice and black-eyed peas. According to Southern Living, this dish started in the south, but no one knows exactly when or how. 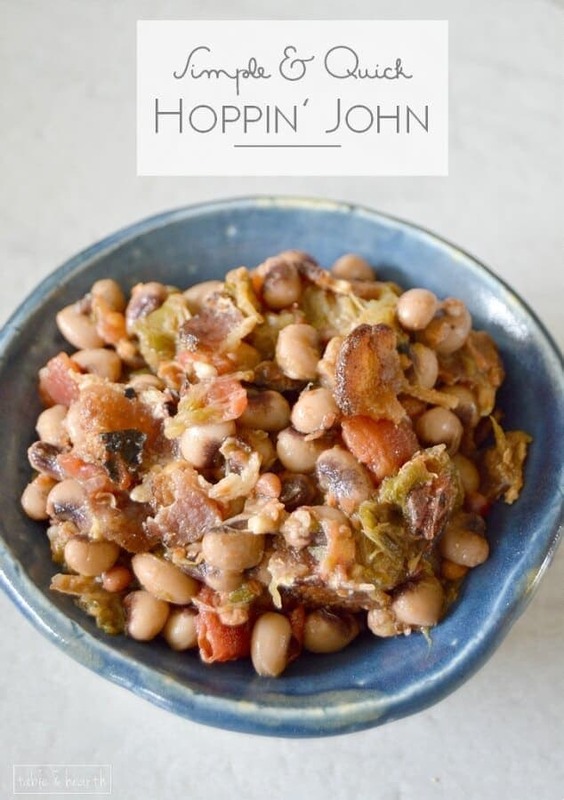 What do you serve with Hoppin’ John? You can serve almost anything with it. It goes with all kinds of entrees, especially a yummy steak or chicken. Of course, you can also be like me and eat it as a main entree! There are only six ingredients needed for my version, but adding rice is also common for Hoppin’ John if you want to put that in as well. I like to use fire-roasted diced tomatoes and creole-style okra just to bring more flavor and zing into the dish. To get an amazing smoky flavor, cook your bacon in a cast iron skillet or dutch oven so that it’ll make a nice crust on the bottom full of yummy bacony bits. Once the bacon is cooked, remove it, let it cool, then crumble it to add later. 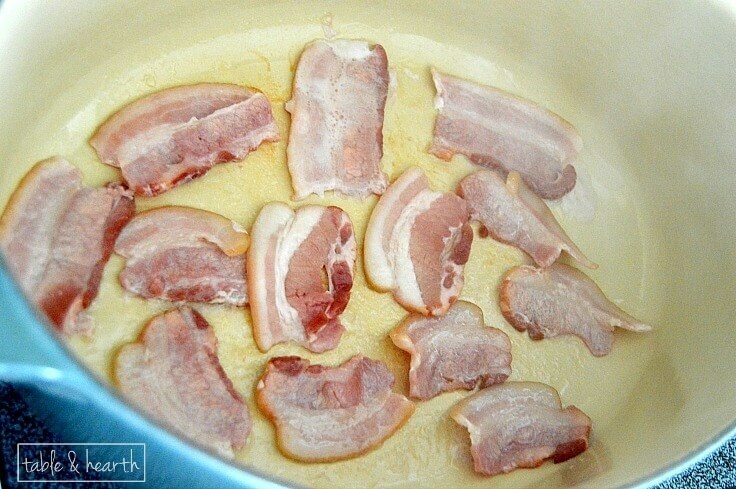 After the bacon is done, add all of your canned ingredients to the pot and stir gently to combine. The bacon residue will deglaze off the bottom and get incorporated into the Hoppin’ John. Let it all sauté for about 10 minutes to meld all the flavors, then season with salt and pepper as you’d like. Toss in your bacon right before serving so it’ll stay crisp. That’s it! A few cans, a few minutes to cook, and it’s ready to go!! A hearty southern side that’s filled with flavor and is quick and easy to make! Cook bacon in a dutch oven or cast iron skillet. You want the bacon to make a nice residue on the bottom which you can deglaze. Remove bacon and let cool, then crumble. Add peas, okra, tomatoes, and bay leaf to pot and gently mix, making sure to scrape the bacon bits off the bottom of the pan. Sautee for about 10 minutes to let flavors combine. Add bacon and gently mix. Add salt and pepper to taste and gently mix. If you want this to have more liquid, don’t drain the okra and/or tomatoes. Take care while mixing, otherwise beans will get damaged and smushy. 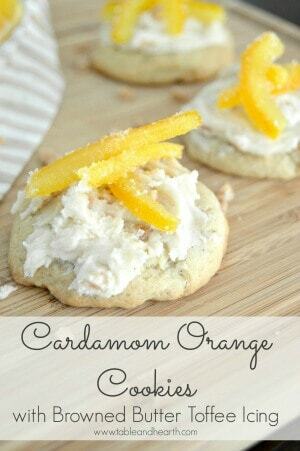 I hope you guys love this recipe as much as we do, and thanks so much to Carrie for having me today! Originally published March 2015. Updated March 2018. 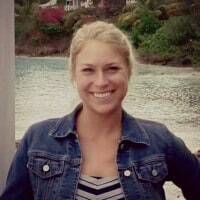 Emily is a full-time biologist who shares her home on the coast in Texas with her husband and sassy blue-eyed cat. Her blog, Table & Hearth, is her outlet for her passion of all things home where you will find inspiring DIY projects, craft ideas, and recipes. Follow along with Emily on Facebook, Pinterest, Instagram, and Twitter. 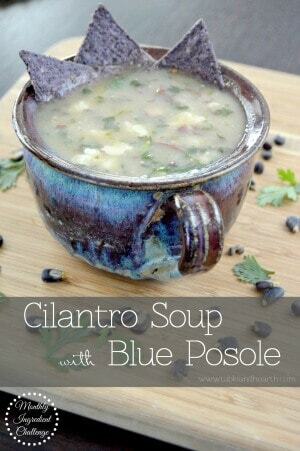 This looks awesome and super easy, which I love. I also love bean dishes because they are so cheap. I prefer canned beans over dry, mainly because I can never seem to get dry beans to work well. 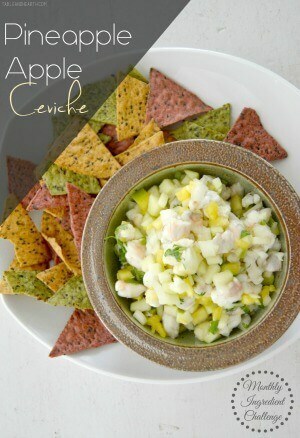 Do you know if this dish would work with turkey bacon? Right now I don’t have either on hand, but I always seem to find turkey bacon cheaper and it’s better for you (though I love regular bacon a lot more). Oh man, I never use dry beans either 😉 #aintnobodygottimeforthat! As far as substituting turkey bacon, I haven’t tried it (the husband vetoed turkey bacon in our house) but I think that would be totally fine, you may just want to add a little more salt to make up for it. If you try it, let us know how it does!